Exclusive! The sparkling, understated classic you love at a winning price! Simple but elegant line of faux crystals with aurora borealis finish for a brilliant, multicolor luster. 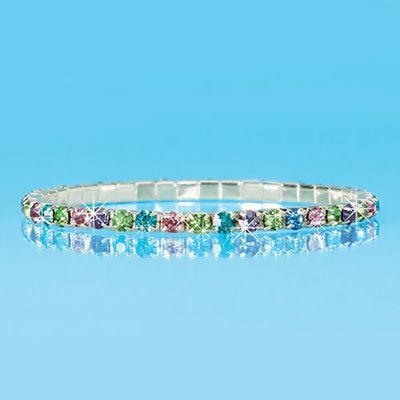 Our Stretch Pastel Tennis Bracelet is comfortable, easy-to-wear elastic band. One size fits most. I love the bracelet. Easy to put on and it looks very nice with my other bracelet. Thank you.